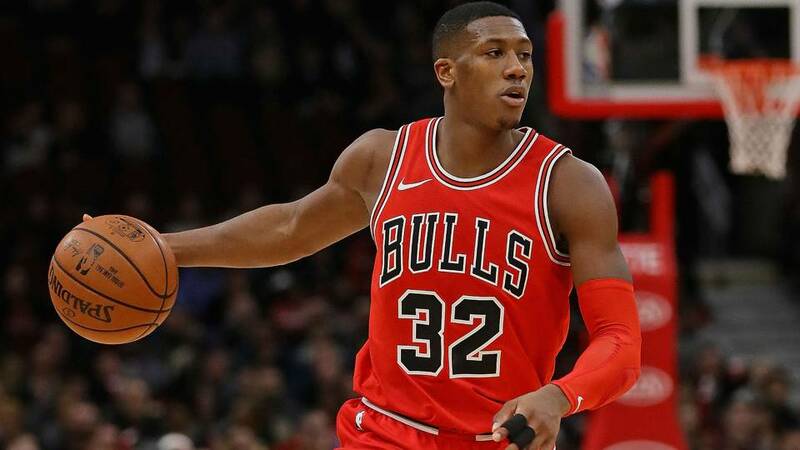 Now in his third year in the National Basketball Association, Kris Dunn ’16 has established himself as one of the youngest elite point guards in the NBA. Drafted by the Minnesota Timberwolves in 2016 as the fifth overall pick in the first round, Dunn’s talent was immediately recognized leaguewide. A point guard at 6’4”, 205 pounds, Dunn’s physical build attracted the attention of many NBA teams when combined with his more-than impressive skillset. Dunn began his career in the NBA back in 2016 with the Timberwolves. It took him some time to fully transition from college basketball to the more fast-paced, skilled NBA. In his rookie season, Dunn averaged just over 17 minutes per game, 3.8 points per game, and 2.4 assists per game. Following the 2016-17 season, Dunn was traded to the Chicago Bulls alongside Zach LaVine in exchange for Jimmy Butler and the rights to two other players. Dunn adjusted well to his new team and his presence had an immediate positive impact. In his first year with the Chicago Bulls, in the 2017-18 season, Dunn began to look as dominant as he was throughout his career at Providence College. In his first season with the Bulls, Dunn averaged almost 30 minutes per game along with 13.4 points per game, six assists per game, and 4.3 rebounds per game. Perhaps his most notable performance of the season came on December 26, 2017 against the Milwaukee Bucks. In this game, Dunn netted 20 points alongside 12 assists, four steals, and two blocks. This outstanding performance placed Dunn in legendary company as he became the second Bulls player to ever record at least 20 points. The only other Bulls player that had ever done so was Michael Jordan. Now in the 2018-19 season, Dunn is finally starting to establish himself as a rising star in the NBA. Despite the struggles that the Bulls have been experiencing as a team, Dunn has shown resilience to continue battling throughout the season. After being sidelined for a significant length of time early in the season with an MCL injury, Dunn has returned to being a consistent presence at point guard for the Bulls. He is now averaging 12.1 points per game, 6.3 assists per game, and over 30 minutes played per game. While his numbers as the team’s point guard are respectable, Dunn’s presence as a young leader is part of what makes him a special player. Despite only being in his third NBA season, Dunn has accepted his responsibility to be a leader as a point guard and run the team as effectively as possible. The Bulls are currently in 13th place in the Eastern Conference with a record of 11-39, but Dunn’s positive presence as a young star on this team provides hope for its future.